Finding the right financial advisor isn’t easy. SmartAsset’s list of the top Chattanooga financial advisor firms can make your search for a top financial advisor in the Chattanooga area simpler. Below, you’ll find each firm listed in the order of the amount of assets it manages, with information detailing each firm’s account minimum, fee structure, typical clientele and more. SmartAsset has also developed a financial advisor matching tool that can pair you with a financial advisor in your area based on your personal preferences. For this list, SmartAsset considered only Chattanooga, Tennessee-based financial advisor firms that are registered with the U.S. Securities and Exchange Commission (SEC). This is because all SEC-registered firms are fiduciaries, requiring them to always act in their clients’ best interest. Firms that did not offer financial planning, did not manage accounts for individuals or that had disciplinary issues on record were taken out of contention. Patton, Albertson & Miller Group, LLC (PAM Group) says it’s focused on assisting “affluent individuals and families throughout the U.S.” with their financial situations. Although this fee-only firm is primarily committed to serving those with a high net worth, it also works with pension and profit-sharing plan providers, corporations, charitable organizations and banks. No firm has a higher account minimum than PAM Group, which requires at least $1 million in investable assets to begin a relationship. PAM Group has seven people on its advisory staff, giving it one of the largest teams of any firm on this list. This group boasts a total of 10 certifications, including four certified financial planners (CFPs), two chartered financial analysts (CFAs), two chartered retirement planning counselors (CRPCs), one certified divorce financial analyst (CDFA) and one investment advisor certified compliance professional (IACCP). Founded just a few years ago in 2015, Patton, Albertson & Miller Group, LLC quickly grew to be a firm with more than $500 million in assets under management (AUM). The firm is a subsidiary of the holding company Focus Operation, LLC. Patton, Albertson & Miller Group commonly invests its clients’ assets in exchange-listed securities, mutual fund shares, exchange-traded funds (ETFs), international and corporate securities, certificates of deposit (CDs), options contracts, real estate investment trusts (REITs) and warrants. The firm chooses investments for its clients based on their risk tolerance, liquidity needs and investment objectives. Because this firm tends to focus on a long-term approach, it reviews its client portfolios on an annual basis. During this evaluation, the firm may change your investment plan and/or the investment types in your portfolio, rebalance your account or some combination of the above. This is one of the firms on the list with the most financial advisor certifications. There are five certified financial planners (CFPs), two certified public accountants (CPAs), and one accredited investment fiduciary (AIF) on staff. To gain access to these advisors, however, you will need a minimum of $250,000 in investable assets. More than three-quarters of this firm’s current client base consists of non-high-net-worth individuals. HHM also manages assets for businesses, estates, trusts and charitable organizations. As a client of this fee-based firm, you may be offered insurance by your advisor, which may result in commissions for them. However, the firm is an SEC-registered fiduciary, so it’s required to act in your best interest. Founded in 1999, HHM Wealth Advisors, LLC is one of just three firms on this list established prior to the beginning of the new millennium. Managing partner and wealth advisor Travis Hutchinson and accounting firm CPA Group, LLC are joint owners of this firm. HHM Wealth Advisors offers individualized services to its clients. Its services include overall financial planning, investment management, retirement planning, estate planning, tax minimization, insurance analysis, 401(k) consulting and transition planning. Before you even discuss the specifics of your financial situation, HHM Wealth Advisors prefers to have a personal meeting during which you and your prospective advisor will get to know each other. Following this meeting, you’ll clarify your current and future financial goals and priorities, as well as your risk tolerance. The firm determines this information through communication with you and a deep analysis of your financial documents. The firm will then come up with a plan, implement it and begin monitoring your portfolio for any possibly necessary rebalancing. The firm will hold periodic meetings to keep you informed on the current state of your account and on how your advisor plans to sustain or improve your portfolio’s performance. HHM uses a wide variety of investment types in client portfolios. These include individual corporate domestic and international securities, municipal securities, bonds, mutual funds, exchange-traded funds (ETFs), REITs and master limited partnerships (MLPs), certificates of deposit (CDs) and alternative investments. Southport Capital, Inc. requires no minimum to create an account, making it an especially accessible fee-based financial advisor firm. Nearly all of the firm’s individual clients fall beneath the high-net-worth threshold. The firm also dedicates an entire section of its website to corporate 401(k) management and offers a free consultation to any interested businesses. There are three certified financial planners (CFPs), two certified income specialists (CISs), one life underwriter training council fellow (LUTCF), one retirement income certified professional (RICP) and one certified public accountant (CPA) on staff at this firm. Notably, Southport’s senior portfolio manager, Jim Woods, co-authored a book titled “The Smart Route to a Dream Retirement,” which is about the financial nuances that surround retirement planning. You may be offered insurance as a client of this firm, and advisors may earn commissions from those sales. Remember that the firm is bound by fiduciary duty, though, requiring it to act in your best interest at all times. Southport Capital, Inc. was founded in 2001, and its advisors have accrued an average of 22 years in financial management. The firm is principally owned by Horizon Private Equity Fund II, LLC, a private equity firm that invests directly within companies. The financial planning services provided by Southport Capital range from general portfolio management to retirement income planning, tax planning, estate planning and legacy planning. Any prospective clients can also meet with an advisor for a consultation regarding his or her current financial situation. The initial conversations you will have with this Southport Capital, Inc. will be focused around your personal risk profile, financial objectives and any needs or preferences you might have regarding the formation of your portfolio. Based on these important factors, it will build an investment profile for you and determine the best asset allocation for your portfolio. Once this opening step is complete, the firm selects specific investments to fulfill your asset allocations. The firm typically invests its clients’ assets in exchange-traded funds (ETFs), mutual funds and other investment pools. Southport says it it will review your account at least once a year and rebalance your account if needed. The Patten Group, Inc. is a fee-only financial advisor firm that has relationships with a wide range of clients. Its clients include individuals and their families, pensions, profit-sharing plans, trusts, estates, businesses, foundations, charitable organizations and endowments. Individuals are the firm’s most common clients, and more than half of its individual clients do not have a high net worth. The firm does not have a set an account minimum. The Patten Group has four chartered financial analysts (CFAs), two certified financial planners (CFPs), two certified divorce financial analysts (CDFAs) and one chartered investment counselor (CIC) on staff. This firm has more CDFAs, who specialize in handling the financial issues that surround a divorce, than any other firm on this list. CEO Z. Cartter Patten, III independently owns The Patten Group, Inc., a firm that has been in business since 2014. While Patten has spent 42 years in the financial services industry, the rest of his firm averages about 15 years in the field. The firm’s services include investment planning, retirement planning, budget planning and development, personal savings, higher education savings and estate planning. In the event that you have a financial issue or goal outside of the services listed above, the firm states that it does have the ability to employ other financial planning tactics as well, such as income planning for those specifically in the post-retirement stage of life. Your time horizon and liquidity needs are especially important to The Patten Group, and it will take into account your risk tolerance when it constructs your portfolio. This firm also allows its clients to impose investment restrictions on their portfolios in an effort to accommodate clients as fully as possible. Typically, the firm uses exchange-traded funds (ETFs), options, fixed-income securities, mutual funds and individual equity securities. The firm says that it will usually only select investments that it plans to keep for at least a year. The overwhelming majority of Barnett & Co., Inc.'s indivudal client base consists of non-high-net-worth individuals, making it among the most accessible on this list. The firm requires at least $500,000 of investable assets to open an account. Eight chartered financial analysts (CFAs), one certified financial planner (CFP), two certified public accountant (CPA) and two chartered financial consultant (ChFC) work at this fee-based firm. The firm does offer insurance policies and sales could result in commissions. However, the firm’s fiduciary duty requires it to act in your best financial interest at all times. Barnett & Co., Inc. is principally owned by Warren Barnett, the president, and Glenn Geelhoed. The firm was founded in 1983, making it the oldest firm on this list. Its team averages more than 25 years of experience in finance. The services offered by this firm are general in nature, as it believes that this will make it easier to customize its services to fit its clients’ needs. The firm lists portfolio management and financial planning as the basis of its service offerings. Some of the typical financial situations that this firm can handle include planning for retirement and education costs, as well as the creation of a budget or family trust. If you are interested in learning more about finance and investing, Barnett and the firm’s vice president, Chris Hopkins, often author articles on the firm’s website regarding some of the hot topics in the field. Barnett & Co.’s philosophy is to find investments that investors will want to own in the future, as opposed to investments that are popular in the present. The firm believes that by following this principle, it can achieve long-term growth, which fits into its overall style of long-term investing. The firm says that its “bottom-line goal when buying a stock for appreciation is for it to double its value in three to five years.” Regardless of whether it actually achieves this goal, the firm says that it drives its investment choices. Guardian Wealth Management, Inc. has one of the smallest advisory team on this list, with just three advisors on staff. Despite its small size, the firm has employees that hold several certifications, including two certified public accountants (CPAs), two certified financial planners (CFPs), one personal fund specialist (PFS), one chartered financial consultant (ChFC) certification, one certified divorce financial analyst (CDFA) certification, one accredited estate planner (AEP) certification, one chartered global management accountant (CGMA) certification and one certified compliance and ethics professional (CCEP) certification. Like Barnett & Co., Inc., this fee-only firm requires a $500,000 account minimum, the second-highest account minimum on this list. The firm only manages individual accounts. More than three-quarters of its individual clients are high-net-worth individuals. CEO Donald VanLandingham and CFO Kathy Lee VanLandingham founded Guardian Wealth Management, Inc. in 1997. The duo still independently owns the firm. Guardian Wealth Management typically uses exchange-traded funds (ETFs), index funds and mutual funds in its client portfolios. However, clients’ exact asset allocations are determined based on their financial objectives and risk tolerance. Once a portfolio plan has been implemented, it’s reviewed a minimum of four times a year to ensure that the original strategy is still on track. If it isn’t, the firm will rebalance your funds. Bellwether Investment Group, LLC solely manages assets for individuals and their families, estates and trusts. The firm’s client base includes far more individuals than high-net-worth individuals. In fact, out of every 10 individuals who have relationships with this firm, nine of them don’t have a high net worth. Bellwether does not require a set account minimum. Bellwether Investment Group is one of only two firms on this list, alongside Wealth Preservation Advisors, LLC, that solely charges clients fees based on a percentage of their assets under management. Other firms may also charge fixed fees and hourly fees. There is one certified financial planner (CFP), one certified public accountant (CPA) and one personal funds specialist (PFS) on staff. This fee-based firm’s team of advisors may offer you insurance policies, and sales may result in commissions. As a fiduciary, though, the firm must act in your best interest at all times. Bellwether Investment Group, LLC was started in 2008 and is an employee-owned firm. Ownership is split between financial advisors John Lindsey, Connie West, Lance Ray and Martin Summitt. The group has spent a combined 83 years in financial advising. The services that clients can choose from at this firm might seem general at first, but its services for each client are further developed once the necessary information to fill out an account profile has been gathered. The fim’s services include financial planning, investment solutions and retirement planning. Bellwether Investment Group believes that face-to-face interviews are key to forging a personal relationship with clients. During these conversations, the firm can also get a sense of a client’s financial objectives, current financial situation, liquidity needs and risk tolerance. These elements govern how your assets are allocated. Clients maintain strong control over their accounts, as the firm allows them to dictate their preferred investment styles and any off-limits investment types. Once all of the necessary information has been gathered, an investment plan is created and, if approved, implemented. Wealth Preservation Advisors does not require a set account minimum to start an account, though it primarily serves high-net-worth individuals. More specifically, its individual clients include business owners, corporate executives, healthcare professionals, retirees and their families. It also serves trusts, estates, 401(k) plans, SIMPLE and SEP IRA plans and charitable organizations. If you choose to become a client of this fee-based firm, you may be offered insurance in conjunction with your advisory account. Sales could result in commissions for your advisor, though they are fiduciaries and are therefore required to act in your best interest. Wealth Preservation Advisors, LLC is owned by property development firm Noon Development, LLC and holding company HTP Enterprises, LLC. Though the firm was founded in 2013, its team averages 20 years of experience in the field. The firm offers portfolio management in combonation with financial planning. The latter portion may include education planning, portfolio management, retirement planning, fixed income services, estate and trust creation, charitable gift planning, education planning, banking and lending solutions and alternative investment opportunities. Wealth Preservation Advisors’ first step in beginning a relationship with a new client is determining your risk tolerance, time horizon and liquidity needs. Based on its proprietary research and market analysis, the firm will then implement a plan that it believes will enable you to achieve your financial objectives. Typically, Wealth Preservation Advisors uses individual stocks, exchange-traded funds (ETFs), bonds, mutual funds, options and a mix of public and private securities in its client portfolios. The firm believes that these types of investments are inherently centered around long-term growth and are therefore the best choices for your portfolio. The firm regularly measures portfolio progress and identifies whether or not to rebalance. Capital Square, LLC is a fee-only financial advisor firm focused on serving individuals’ retirement needs. Aside from retirement-minded individuals, the firm works with trusts and estates. If you’d like to become a client of this firm, there is no minimum amount of assets needed to open an account. There are two certified financial planners (CFPs) on staff. One of the youngest firm on this list, Capital Square, LLC was established in 2016. President Notley Maddox and founding partner Stacy Eaton each own half of this independently owned firm. The firm says that it offers estate and trust planning, retirement planning, general portfolio management, 401(k) solution analysis, education cost planning and annuity analysis. Though Capital Square, LLC does use predetermined investment models, it aims to personalize them according to your financial objectives, risk tolerance and time horizon. This is done to try to ensure that the firm’s “world-class research” can be applied appropriately based on your ultimate needs. “Time in the market, not timing the market” is another saying that the firm says it lives by. It believes a long-term approach to investing will help weed out weaker investments that are focused on short-term financial gain rather than on stable, consistent growth. Evergreen Advisors, LLC is a fee-based firm with two certified financial planners (CFPs) and one certified public accountant (CPA) in its offices. More than half of the firm’s clients are individuals, and it primarily serves non-high-net-worth individuals. However, the firm also works with corporations, charitable organizations and pension and profit-sharing plan providers. You must have a minimum of $200,000 in investable assets to open an account with this firm. You may be offered insurance if you work with this firm and its advisors may earn commissions from sales. But keep in mind, like all the firms on this list, Evergreen is a registered fiduciary. Evergreen Advisors, LLC was created in 2008. It’s principally owned by Jim Place, the firm’s managing member. The firm’s advisory team has been in the financial industry for much longer than that though, boasting an average of 22 years of experience. Jim Place, principal, and Jayme O’Donnell, partner, co-host an hour-long weekday show titled “Let’s Talk Money,” which clients can use to stay up-to-date with the financial industry. Evergreen Advisors primarily uses equities, fixed income and cash when investing its client assets. However, how the firm divides your money among these investment types depends on your time horizon, targeted return level and risk tolerance. The firm chooses specific money managers and investment strategies depending on how it thinks it can best help you achieve your financial goals. The process isn’t complete after your funds have been invested. The firm evaluates your portfolio often, measuring its progress against benchmarks that reveal how well it’s really performing. 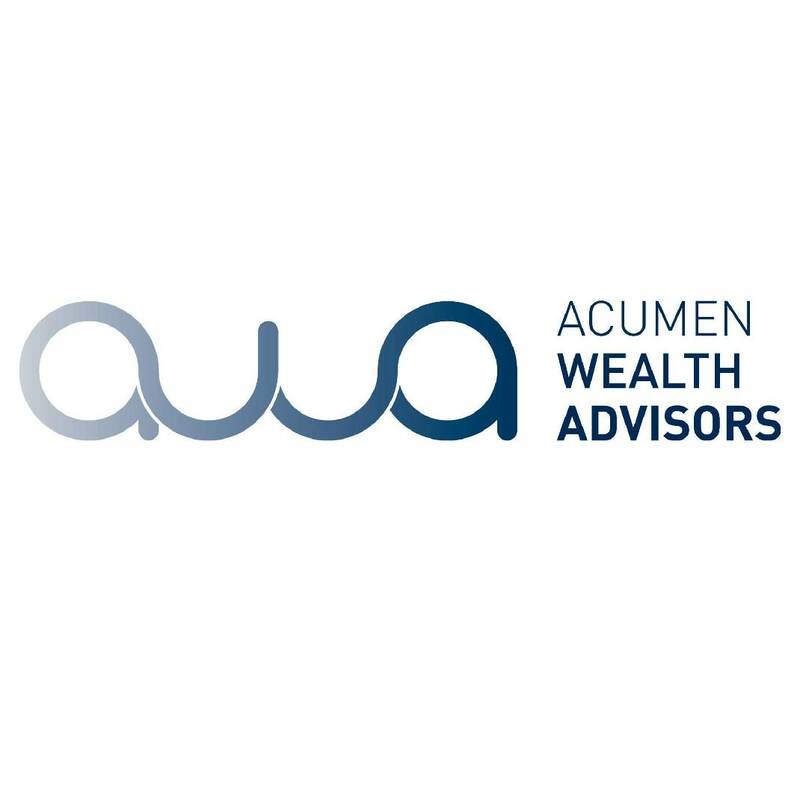 Acumen Wealth Advisors is an SEC-registered firm that provides financial planning and technology-driven portfolio management services to its clients. According to SEC files, the firm works mostly with high-net-worth individuals. However, it works with just a little more than 100 people, making it one of the smaller firms on this list as far as individual client base goes. The 10-person team in the Chattanooga office oversees more than $160 million in assets under management. Reese Veltenaar formed Acumen Wealth Advisors in 2011. The firm has been active as a registered investment advisor (RIA) since 2016. Veltenaar currently serves as Acumen’s wealth strategist and managing partner. He is a certified financial planner (CFP) and a certified trust and financial advisor (CTFA). The firm’s team also features a certified financial analyst (CFA), an investment adviser certified compliance professional (IACCP), and a certified retirement services professional (CRSP). Overall, the last two designations are quite rare among the small financial advisory firms we’ve analyzed. At least one member of the firm is registered to recommend and sell insurance products and can earn commission from the sale of such products. Although clients are never obligated to take these recommendations, the arrangement alone may create a conflict of interest. However, Acumen works as a fiduciary and is legally obligated to always work in your best interests. Aggressive portfolios tend to focus more on growth-oriented securities like stocks and stock funds, while income oriented ones generally rely more on securities like bonds. In addition, the firm uses financial management software called Tamrac to guide investment decisions based on your personal circumstances. Tamrac gives clients a portal that aims to give them a full picture of their financial lives by combining their financial accounts and investments in one digital platform. Acumen generally charges annual fees based on a percentage of assets managed. Depending on your account balance, this fee can range from 0.75% to a maximum 2.00%. The Tamarac Rebalancer allows Acumen to monitor your investment portfolio and make tactical decisions. For instance, its tax optimization feature lets Acumen Wealth Advisors screen for the type of assets most likely to be tax efficient for different account registrations. Acumen states on its website: “We customize client portfolios leveraging tax optimization, monitor their accounts for trading triggers, make tactical trades, execute trades directly with our custodian, Schwab, reconcile trades from the previous day, and leverage tax loss harvesting strategies." For a deeper look at the top advisors in Chattanooga, use our advisor match tool. It pairs you with up to three advisors in your area based on your own financial goals. You can then compare their profiles to see which one is right for you.